Smithsonian Magazine publishes our letter. A grieving Ohio family is featured on a national two part Dr. Phil Show. Television Show of interest: Killer Kids on the Biography Channel and Lifetime Television documentary films that cover teens who kill. Many episodes are available in full online. The American Bar Association held a panel discussion in Florida, April 2011, discussing the “direct file” or mandatory transfer of juvenile offenders into adult court. NOVJL’s President was one of the panelists. The ABA actively opposes victims rights, and largely represents defense attorneys and trial lawyers. Victims family of teen killer founded the Sheila A. Doyle Foundation in the memory of their murdered mother. Watch the good work the foundation does to help other children of murder attend grief camps and go to college! NOVJL’s members are active in many other areas, such as violence prevention. Watch NOVJL’s president discuss her work for violence prevention. This chilling video interviews teen killers in California, openly denying any remorse for their crimes. While this movie has an agenda in support of ending life sentences for teen killers, it does feature one victim family interview. Lost For Life. 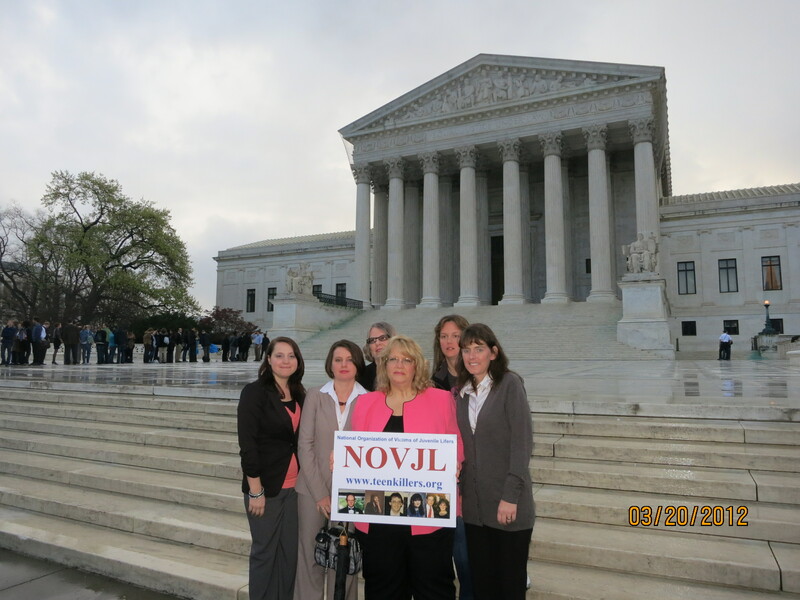 Shattered Lives national podcast from Lady Justice Donna Gore interviews NOVJL. NOVJL posts article in National Juvenile Justice Blog: We encourage all victims and supporters to comment at this site in the hostile debate being waged from the juvenile justice advocacy community. Photo: Mark Osler, a proponent for juvenile sentencing reform, meets with the Bishop sisters in Chicago after the blog was written to discuss public policy and the sentencing of teens who commit murder. In 2009 he said he was advocating for more dialogue between offender advocates and victims families. 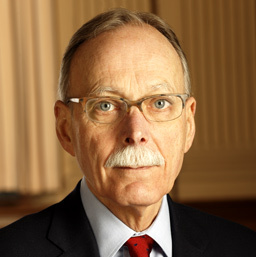 Starting in 2010 his efforts at dialogue with us completely ceased, and he began to work with the “shut out the victims” strategy of the juvenile justice reformers. By 2012 He and Jeanne co-authored an article on CNN.com, that we were forced to respond to in the comment section, in which they mischaracterized us. While humor is hardly appropriate in the cases we all live, horrific murders in our families, it is valuable to point out the great truths even in the newspaper comics. This frame from a Dilbert comic communicates a great truth about the teen killers who murdered many of our loved ones. Documentary film by Josh Rofe Lost for Life focuses on offenders but includes victim perspective. Our brain size peaks at age 14. Our reasoning abilities peak at age 12. Pre-industrial society did not even have a word for “adolescent” and post-pubescent teens are considered adults. Psychologists say that by imposing all the restrictions we do on teens, we are infantilizing them, part of a grand scheme to extend childhood. Many others say that the only solution to teenage angst and irresponsibility is to go the opposite direction and treat them as grownups. Ed Note: there are too many such articles to list at this website, and standard internet searches will reveal many articles on this topic. One concern has been the way that most media coverage about teen killers and their victims focuses significantly on the offenders, and not on the victims. And if the article is about policy matters, reporters commonly simply reprint what is released to them (a common problem throughout journalism), often propaganda, by offender advocates. NOVJL Presents Award for Outstanding Journalism! Scroll down to story below about the Milwaukee Journal Sentinel’s outstanding investigative reporting on a teen killer’s case, and how this exceptionally high caliber coverage sets a high bar for journalists doing these types of news stories. Ed note – the newspaper refused to receive the award – required of their journalistic integrity. Chicago Public Radio airs a story on JLWOP case – in it the offender Addolfo Davis gives false information about his story and WBEZ does not question it and allows it to go on the air. Since that time the offender has written to US at NOVJL and apologized for this false portrayal that hurts his victims families and seeks to minimize his culpability. We urge the radio station to air his retraction, which they have not done, to date. Hearings to be held on Sept 22, 2008 on the JLWOP sentence – Victims Families have not been notified! An Austin Texas based radio program “Live and Let Live” on the Logos Radio Network features an hour long talk show featuring the President of NOVJL discussing the issue of teens who kill. Since the MJS newspaper has already been recognized for its quality with several Pulitzer prizes, we should not have been surprised to read the outstanding work done by the staff of this fine paper. As part of their series “Dangerous and Free”, the front page and detailed coverage of the case of teen killer Markus Evans, “Juvenile Injustice” on May 29, 2011 sets a very high bar for outstanding journalism. Read the article and the many supplemental pieces of research and investigation. Too often, as is evidenced on several other pages in this website, propaganda dominates the national media coverage of teens who kill. In this era of tight budgets and downsized newspapers, it is common that papers will do little investigation of their own. They will often print materials sent to them in press releases without verifying the facts. This is, for example, why you will so often read in the media that there are over 2500 cases of teen killers sentenced to life nationally, when the actual number is about 1300. The media has been repeating an estimate by an offender advocacy organization that has been proven inaccurate. And with well-funded offender advocacy organizations pushing to end life sentences for these killers retroactively, they have been publishing glossed over sympathetic portraits of the crimes that do not correctly report who has done what, where, why, why, and what the impact has been on the victims and the public. In “Juvenile Injustice” the MJS digs deep and reports the entire story. They provide taped interviews, a detailed history, extensive interviews with victims and witnesses, law enforcement, and experts. 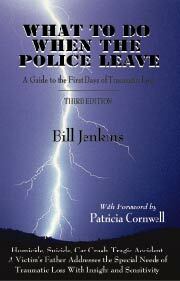 They connect the dots between failures in the juvenile system and a proximate danger to the public. We will be presenting the staff of the MJS an Award for Outstanding Journalism. We believe that this caliber of work should be commended and called attention to, and we hope that other newspapers around the nation will look inside their states for similar cases to investigate. We know that public safety will be better served by reporting of this caliber. And we know that the Milwaukee Journal Sentinel’s reporting will save lives. Other media outlets around the nation who attempt journalism of this caliber will save lives as well. I goofed. I thought I had researched it enough, but the response to my last column showed me I did not. Consider this my mea culpa. The column was about the number of juveniles we sentence to life without parole on charges of murder or accessory to murder. I quoted a Human Rights Watch statistic that placed the number of “children” sentenced to life without parole at 2,574. I questioned how America’s international stance on human rights squared with our “routinely toss(ing) kids” into prison for the rest of their lives. As comments to the column rolled in, I realized I had only written one side of the story. Also, I came to be suspicious of the methodology Human Rights Watch employed to reach that figure of 2,574. Seems they included some 19-year-olds in their count, making assumptions that they should be counted, too. I’d researched a myriad of Internet sites that quoted the Human Rights Watch number as gospel. Now I realize the number had simply been accepted, without question, and repeated in news accounts, court briefs and even before many legislatures. Then I got to know Jennifer Bishop-Jenkins, founder of the National Organization for Victims of Juvenile Lifers. 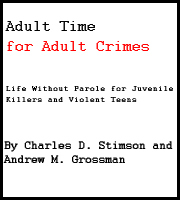 She wrote directing me to a scholarly report titled, “Adult Time for Adult Crimes” by Charles Stimson and Andrew Grossman and released by the Heritage Foundation. After an exhaustive and detailed study, they concluded that the number of teens serving life without parole is closer to 1,300. It could be as high as 1,500 since six of the states did not respond to the study. It also quotes the attorney general of Rhode Island as saying the Human Rights Watch folks got it wrong when they listed two life-without-parole juveniles in his state. There are not any, haven’t been any, there for more than 25 years. Jennifer wanted me to know I’d failed to acknowledge the torment families of the dead experience — condemned to it for the rest of their lives. And, she directed me to government statistics showing most of these killer children weren’t 8 or 9 years old; the biggest percentage are 16 and 17. Many are seasoned gang members. We cannot consider this breed of older teens as “children.” They need their own category — especially once they kill. 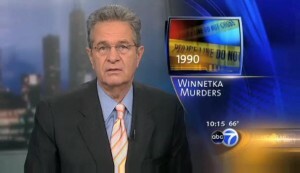 In 1990 Jennifer’s pregnant sister, Nancy, and her brother-in-law, Richard Langert, of Winnetka, Ill., were tortured then murdered by a troubled kid named David Biro, just four weeks shy of his 17th birthday. He had bragged at school that he was the one who had shot the Langerts, which led police to him. Three years earlier, Biro had been admitted to a psychiatric hospital after reportedly trying to poison his family. Biro is one of those “children” who got life in prison with no parole, deemed too dangerous to ever let loose on society. Another member of Jennifer’s group is Daniel Horowitz, a prominent California attorney, whose cherished wife, Pam, was murdered at the construction site of their “dream home” by 17-year-old Scott Dyleski, who is also serving life in prison with no parole. We aren’t “routinely tossing kids” into prison for the rest of their lives. The sentence of life without parole is applied rarely — yes, rarely — to those who were under 18 at the time of their crime. Yes, it’s tragic that even one young person should lose their freedoms, but we must remember the damage they’ve done and the crimes they’ve committed: brutal kidnappings and beatings, dismemberments, rapes — all ending in the most gruesome murders imaginable. Jennifer and other grieving family members are why I write this now. They deserve consideration; some would argue they deserve more consideration than their loved one’s killer.